I am always running to the store for a few things. I mean, all the time. I do like fresh fruit and veggies, so I usually make about 3 visits to my local grocery store or farmer’s market a week. I usually use reusable bags but have been wanting some really pretty ones. C’mon I’m tired of being a walking advertisement for the store I’m shopping at, by using their reusable bags. 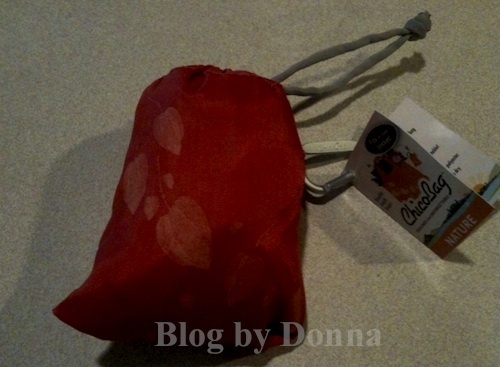 I recently received a Chico reusable bag, and now I’m hooked… I have to get more! I love being able to be stylish, while I’m being eco-friendly. Hey, there’s no reason why we can’t care about our environment, and look good doing it. One of my favorite things about my Chico Japanese Lantern Nature Vita bag, (which can hold up to 40 lbs) is how compact it is. It’s small enough to fit in my purse (or glove compartment). 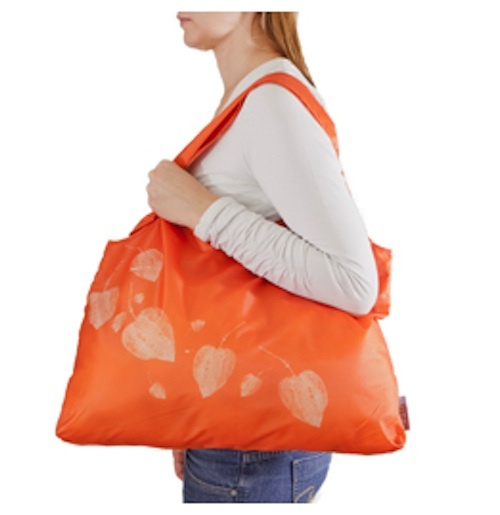 The entire bag stuffs inside of itself for easy storage when not in use and is made of durable, machine washable fabric. I just unstuff it from its pouch, and I have a pretty, yet durable, shoulder tote. I am seriously impressed how much one reusable bag holds. Not to mention how beautiful it is. Another thing I love about the Chico bags – there are so many styles, patterns, and colors to choose from. You can get shoulder bags (like mine), backpacks, duffel bags, cross body, and messenger bags. I’m looking at a backpack that I’d love to have… need to send the link to my husband. *hint, hint. * I’m thinking they will make great gifts this Christmas. I promise you that you can find a bag that will suit your needs. 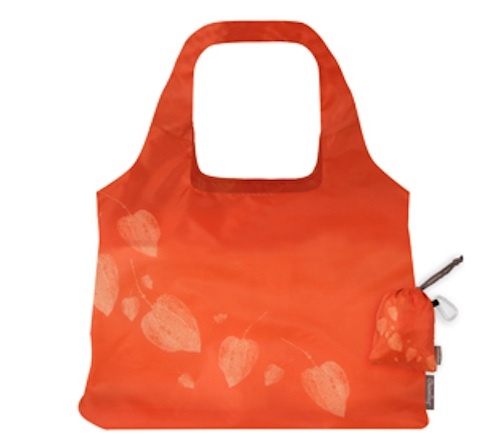 My favorite color is orange (not to mention, I’m a Vol), so I’m loving my reusable bag even more. Be sure to like ChicoBag on Facebook and follow ChicoBag on Twitter. Disclosure: I received the above product through Blogger Media Team in exchange for an honest review. In no way was I asked to give a positive review. Green Works #Review: It's Green & Works! I love how this folds up into a tiny bag! I have a few Chico bags and I really do love them! They fold so tiny, but they’re BIG when they’re open! @Liz – I know, I love that too! This one is huge, yet tiny enough to easily fit in my purse. I love that they fold up! Wow. It looks like it unfolds to a pretty nice sized bag. Looks like a great bag, I need something like this! I love that you can carry them in your purse as well since they fold up. Love that it folds up! I really love how versatile this bag is. 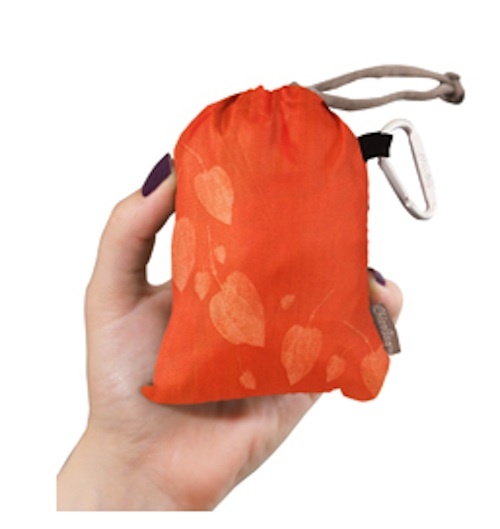 You can use it as a purse type carrier itself or put it inside your usual purse to have on hand!